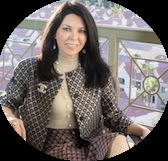 With nearly two decades of selling luxury properties in Nevada and with a background in Business, Sales, and Interior Design, Cristine Rosa Jensen the Brazilian native has mastered her talent and passion for the luxury real estate with a network to market properties in 81 countries. Cristine is multi-lingual and a Certified International Property Specialist (CIPS) since 2006. Cristine has successfully Sold hundreds of millions of dollars in properties over the course of her career. A Nevada resident since 1996, Cristine has a deep sense of the Luxury properties in Las Vegas, Henderson, Reno and Lake Tahoe communities. Equipped with a worldwide network of clients and real estate professionals, Cristine has the skill set and proficiency to stage, market, negotiate and successfully sell your property. Cristine worked countless hours and provided an impressive marketing plan, and as a result, our home was sold for the highest sale per square feet.